For those of us not near a Crunchi store, this is an incredible idea! I would have not known the silky texture, which is so nice! And the coverage it offers. AND I would have chosen the wrong color had I not gotten to try the sample first! Now...how about a blush sample card?! Seriously - awesome help to me! Sold! Not sure of your correct foundation shade? We can help! Try our Foundation Shade Matching card with FREE shipping. 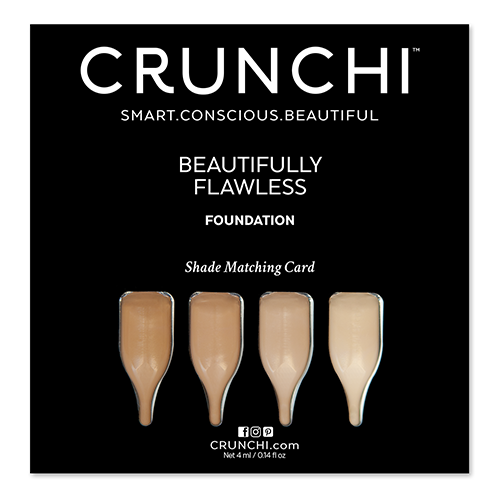 This card is designed to help you find your Beautifully Flawless Foundation match. 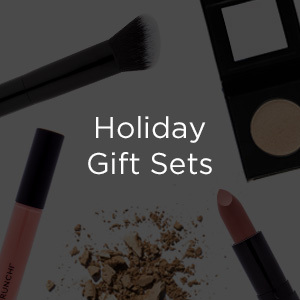 Each card includes a full face application of our four most popular shades: (02)/ (2.5)/ (03)/ (04). If you would like to include a sample of either our (01) or (06) shade just indicate this in the notes at checkout and this will be included for you if the shade is in stock on our website. 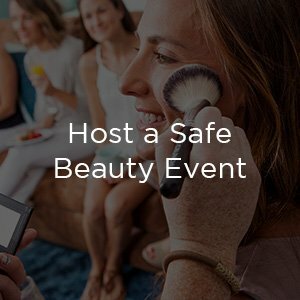 If you need further assistance choosing your shade, please contact your personal Crunchi Advocate, or our corporate office, at [email protected] or 1-888-831-3133.